I’ve long awaited returning to what is arguably my favorite modern fantasy world (yes, in my humble opinion The Witcher universe is superior of that of A Song of Ice and Fire). As strange as it sounds, the primary reason why I didn’t read Season of Storms originally (English fan translation was available years before the official translation was published) was because I didn’t really wanted The Witcher tales to come to an end. While there are some Witcher comics, which I do plan on eventually reading; I however see these works as just plain fan fiction. Of you which you can say the video games also fall into this category, but I digress. The events of a Season of Storms take place in between the short stories of the first book The Last Wish. The big difference between a Season of Storms and the short story collections of those in The Last Wish and A Sword of Destiny, is that this book is an actual full length standalone novel. Technically you don’t really need to read the first two short stories or the entire Witcher Saga read this book. While it would definitely help if you read the short stories and the saga first, since in my opinion you will get the most of out this book. There is a caveat though. The entire book is shown from Geralt’s point of view, however there is a small portion that is told from a different character that only appears in the final events of The Witcher saga. So if you read this book before the saga, you might find this small portion of the novel confusion. A major difference between a Season of Storms the other short story collection books is that this book felt like it was less grim while others had more of a dark fantasy theme to them. This was a really enjoyable book (I practically read the entire book in two sit-ins), their were multiple times this book had me laughing out loud. The humor and banter in this book definitely shined over other Witcher book. Andrzej Sapkowski has confirmed that he will eventually write another Witcher novel, however he doesn’t know when. 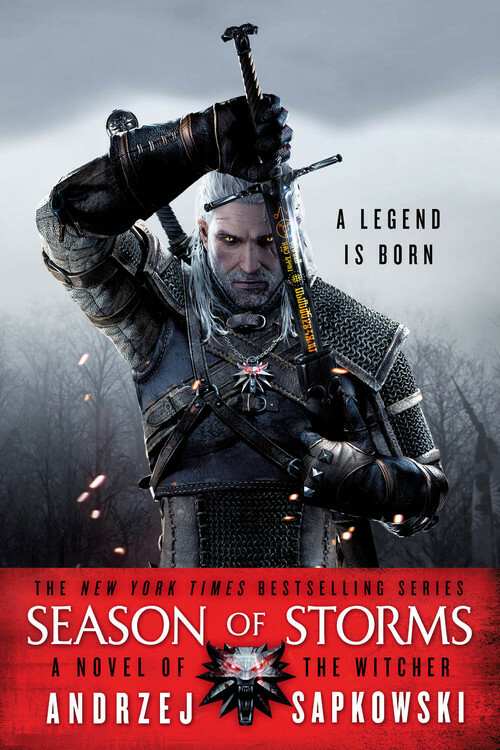 Whether or not we get to see another book of this amazing fantasy universe, I feel that after reading the epilogue of Season of Storms, it gave me some closure to what I felt was an unsatisfactory ending to the Witcher saga.